It seems I haven’t had much time for blogging over the last couple of weeks. I figured that my days were mostly being absorbed by festive pastimes such as card making, scoping out craft markets and attempting to find presents for my impossible-to-buy-for nearest and dearest, but now that I think about it, a huge chunk of time went on doing commissions. 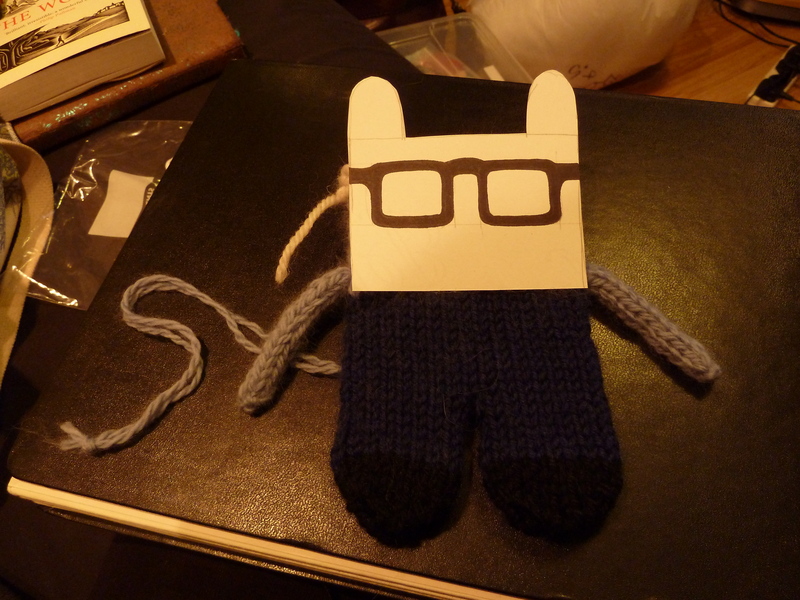 Because I’m still quite new to the world of crafting for an audience, I didn’t think there would be any difference between making a Beastie that I had thought up myself and making one based on someone else’s imaginings… but weirdly, there is. When I’m inventing something myself, it’s not much of a leap from having the idea to making it. Sometimes the idea and how to make it surface almost simultaneously, or the whole process turns itself on its head and the method inspires the idea, like I was saying in this post. But with a commission, I feel like I need to consider what the person who made the request is expecting to see in the finished article, as well as what I want to do. Also, a lot of the commissions I’ve made over the last week or two have introduced new elements to my Beastie wardrobe, things I might never have considered trying myself. So, they’ve taken a little longer to make, but on the plus side, I’ve stepped out of my comfort zone and learned how to do a whole lot of new things. And that’s always good. So, that brings me to Justin Beastie. 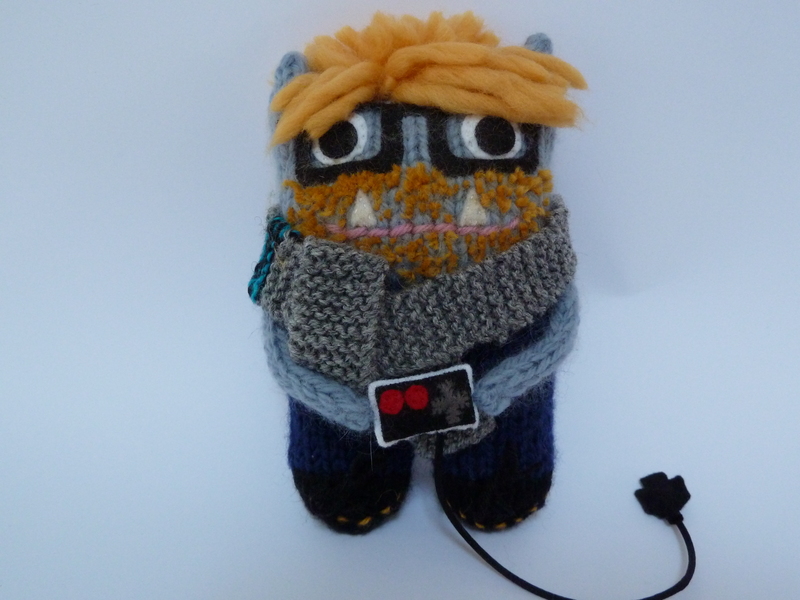 Requested by my friend Adele as a Christmas gift for her boyfriend, she asked for a Beastie with “blond hair, boxy glasses, stubble and some kind of games controller”. I’d already made a Beastie with hair (the Punk Beastie, in this post), but the rest of the project was real “here be monsters” uncharted territory. And then did the same thing to Justin Beastie’s face! 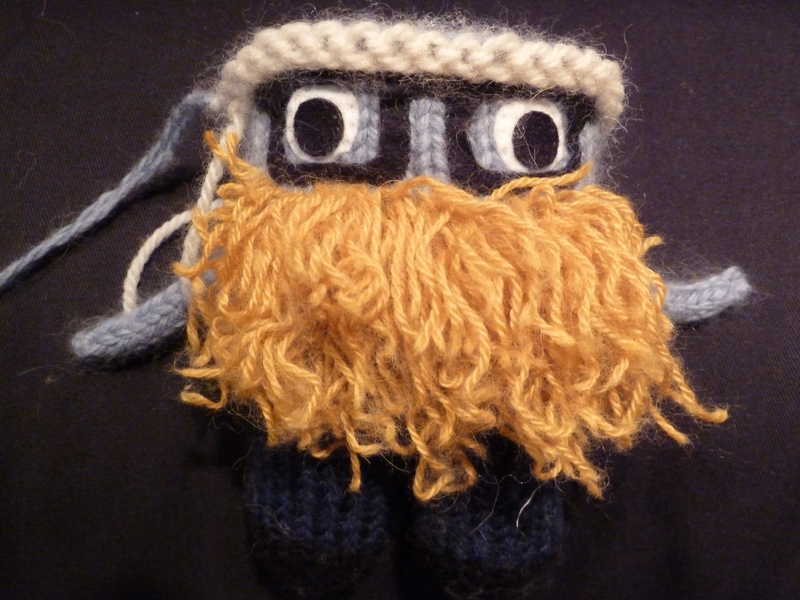 Following a much-needed shave, and the addition of some hair made from chunky merino yarn, we were almost there! 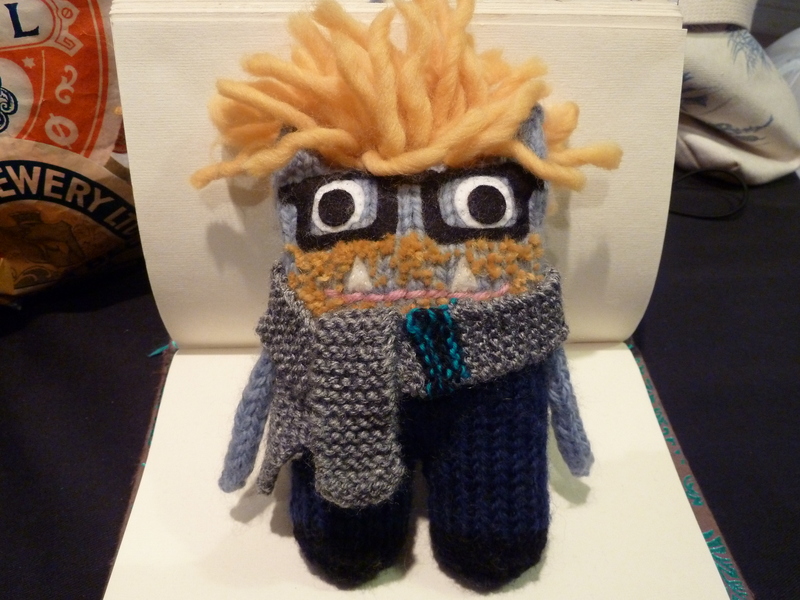 I gave him a scarf which is a miniature version of one which Adele made for him when she first learned to knit, too. 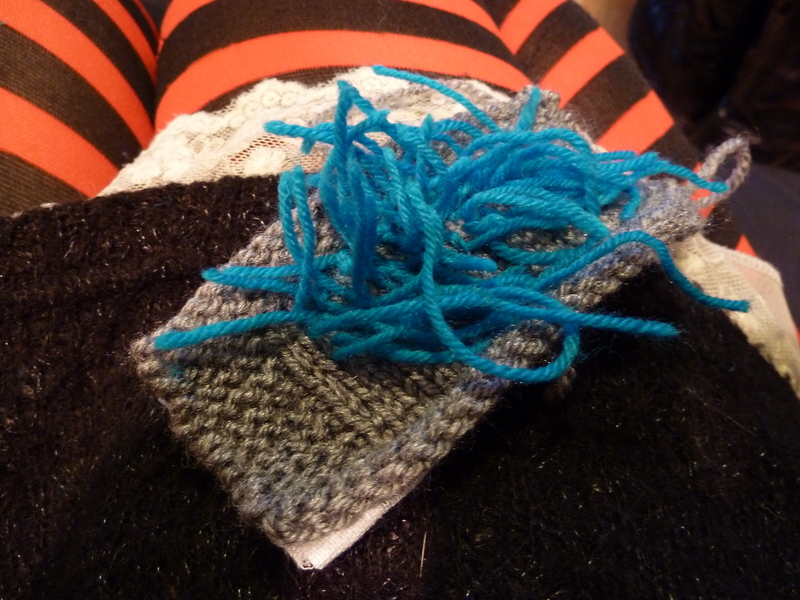 Then he got a haircut, some bootlaces and the requested games controller – a simplified take on the classic NES one. And here he is!